Opposition leader and self-proclaimed interim president of Venezuela Juan Guaidó talks to supporters during a rally against the government of Nicolás Maduro on Feb. 2. 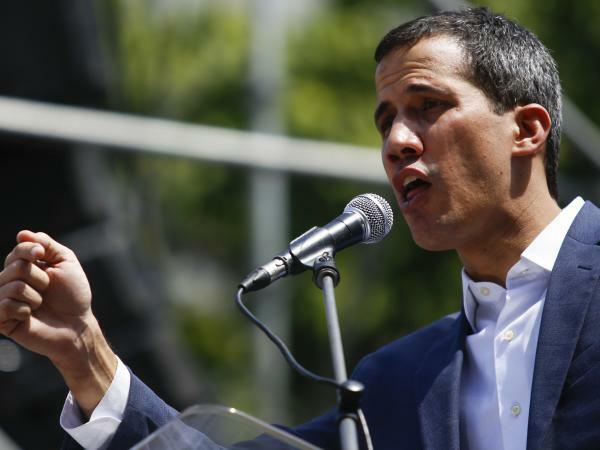 Opposition leader Juan Guaidó accused police of raiding his home Thursday, a claim that could mark an intensifying power struggle between him and Venezuelan President Nicolás Maduro. The U.S. considers Thursday's "acts of intimidation" against Guaidó "egregious," an unnamed senior administration official told Reuters.